In truth, there are few automotive brands that are as diverse or as reliable as Renault. With models ranging from the simplistic to the spectacular, Renault is an everyday car brand that is has a history as one of the world's most popular (and not to mention recognizable) names. There are also a wide range of choices for drivers, ranging from the affordable Twingo, to the new, high-end Grand Scenic model. Perhaps the most fascinating aspect of Renault as a manufacturer, is its ascent as an auto-racing and Formula One competitor, with the brand have declared its ambitious aim to win the F1 title by the year 2020. While some may currently scoff at this idea, Renault's existing Sport RS16 model is a work-in-progress that has immense potential. 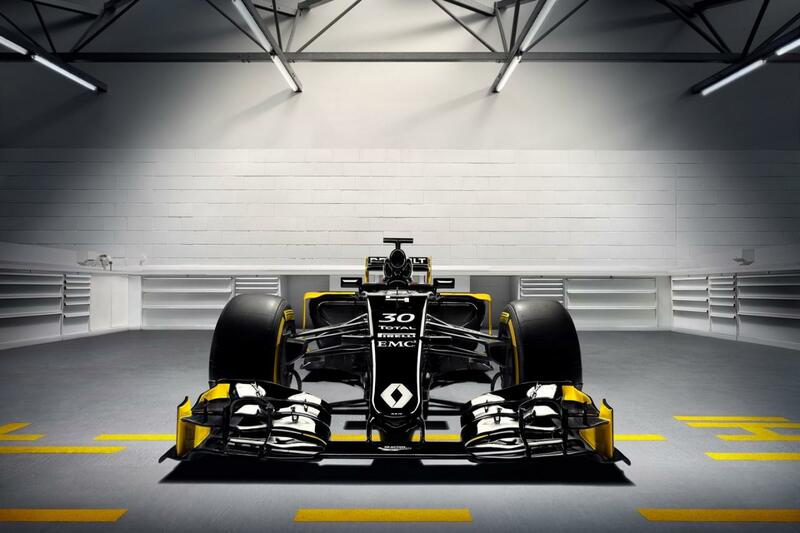 Interestingly, Renault was the first team to launch its new-look car for the 2016 F1 Championship, with the RS16 taking center stage with a sleek design and brand new engine. While it's black and yellow adornment caused quite a stir at the launch, issues with the performance of the engine created a stuttering start to the new season. Drivers Kevin Magnussen and Jolyon Palmer are both yet to win a single point so far. Make no mistake; this auspicious start should not detract from the bright future of Renault as an F1 brand. With its molded carbon fiber and aluminium composite monocoque, the RS16 is the epitome of robust strength and weightlessness, while the eight-speed, semi-automatic titanium gearbox delivers a 'quick-shift' system which is designed to optimise the speed of gear transitions. In this respect, the design and technology is there to make Renault a leading F1 player, so long as it can correct its engine failures and deliver sustained reliability over the course of a championship season. Can Renault develop the RS16 and become a major Formula One Force? Ironically, the issue of enhancing the performance of the engine and creating a more reliable race car should be well within the grasp of Renault, whose wider reputation is based on delivering smooth, safe, and seamless driving experiences to customers. That's far easier said than done at this level of performance, however, and Renault will need to make consistent progress if they are to supersede established rivals such as Mercedes. Even then it may not be enough, Mercedes' own experiences this season are also highlighting issues that can blight individual cars. Driver Nico Rosberg has stormed to the top of the standings with three consecutive wins, while his team-mate and defending champion Lewis Hamilton has suffered so many vehicle issues that it is hard to believe they are driving the same car. Placing such vagaries aside, however, there is absolutely no doubt that Renault has the history through innovation and potential to improve its standing as an F1 force. The question that remains is whether they can improve the engine performance of the RS16 while also closing the gap on their current rivals. I am a blogger and auto enthusiast from the UK, with a passion for cars and ever-changing concept vehicles. What great insights! Thanks for the post!